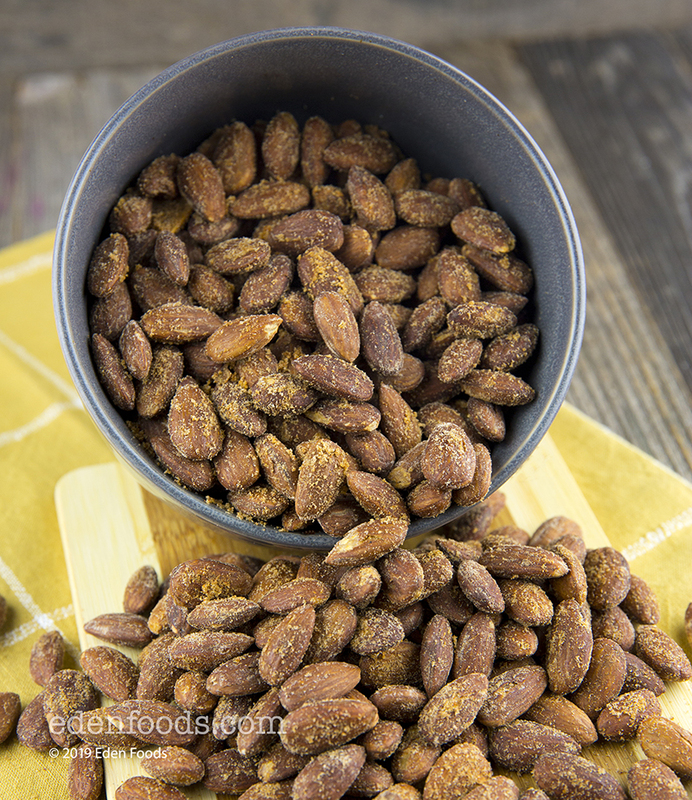 Preheat oven to 400° F. Place almonds on large baking sheet and bake for 5 to 7 minutes. While the nuts are roasted, grind the salt together with the paprika in a coffee grinder. Remove the almonds and place in a mixing bowl with the olive oil. Mix thoroughly to coat. Add the salt/parika seasoning and stir to mix and evenly coat the almonds with seasoning. Great serve at a tapas bar, parties or just a salty/savory snack any time.